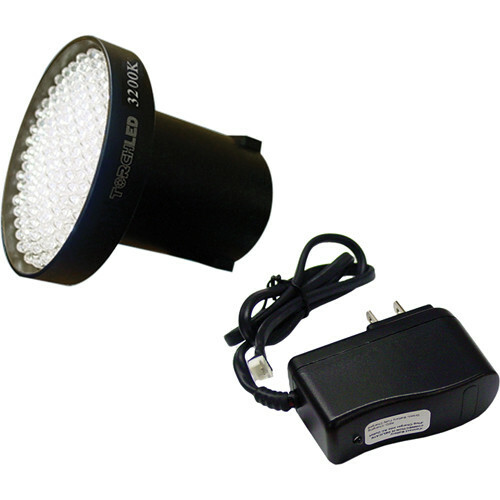 The Core SWX TorchLED TL-88 Dimmable LED 3200K Light Fixture (11-18VDC) is a lightweight (0.88 lb), powerful on-camera light balanced for shooting indoors (3200K). Up to 10 times as efficient as a conventional halogen fixture, the TL-88 has 88 matched Japanese light emitting diodes behind a frosted front element, in a rugged metal construction. With the Core SWX ring system, you can easily change the color temperature from 3200K to 5600K by simply changing the included 3200K screw-in front element to the optional TL-88-56 ring--you've got a daylight-balanced light in seconds. This light requires an external DC power source (not included). Box Dimensions (LxWxH) 11.6 x 8.0 x 3.0"